Whether you’re an artist accustomed to exhibiting at the leading wool shows, or are researching events at which to showcase your craft for the first time, you may have noticed that there are some great events in the North and South of the country – but that there’s a huge gap in the MIDLANDS! Wool @ J13 will make this a thing of the past. Taking place on a 600 acre arable and beef farm in the rolling Staffordshire countryside (yet conveniently located just over 1 mile from J13 of the M6) this is an event perfectly placed to attract visitors from all across the Midlands and much further afield. 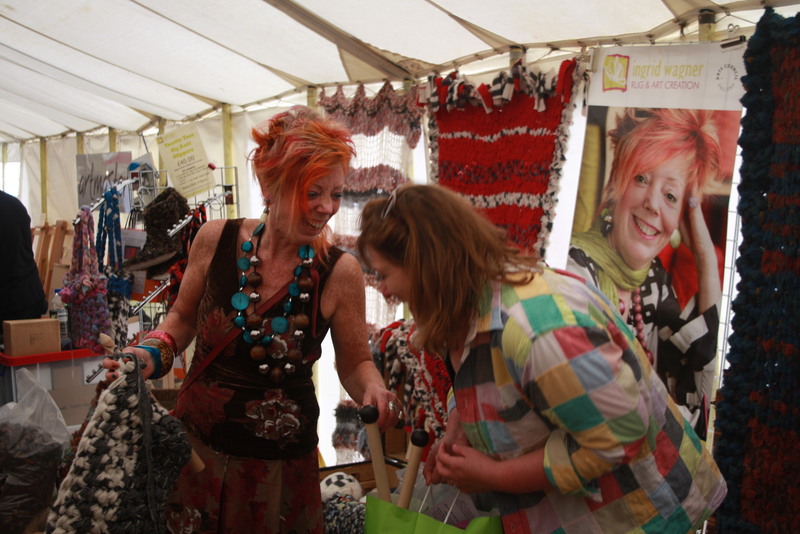 Renowned wool artist Ingrid Wagner is the driving force behind the event; drawing on her years of experience as both an exhibitor and visitor at the country’s best wool shows to create a unique new event for the wool craft community. Exhibitors will benefit from the services of a team of marketing and events professionals working behind the scenes to spread the word about the event to potential visitors; with a host of attractions including wool craft workshops, individual and team competitions, fleece auctions, live music, street food – and much, much more – adding to the visitor experience. Taking place for the first time on Saturday 13th and Sunday 14th May 2017, this will be a ‘woolly weekend’ to remember. Download your exhibitor pack from the website, email hello@wool-j13.co.uk or call 01785 330757 to register your interest in exhibiting.